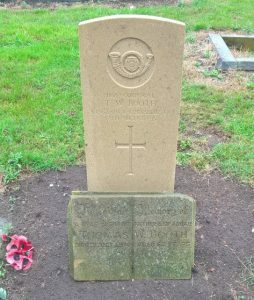 Three years ago we discovered that the Commonwealth War Graves Commission headstone of Corporal Thomas William (Tommy) Booth had been broken. It had cracked at ground level and lay flat on its back on the grass. 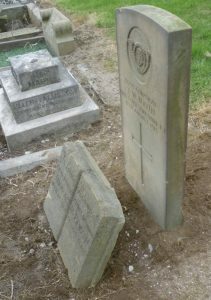 After we reported it to CWGC, it was only a couple of weeks before they came along and made a temporary repair. 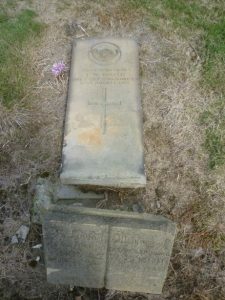 They dug out the original base of the headstone and sank the upper section into the ground, so that it stood rather lower than it had done. CWGC also ordered a brand new headstone for Corporal Booth, from their manufacturing facility in France. 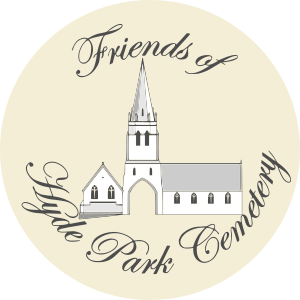 We are delighted to say that the new headstone has now been delivered and erected, providing a fitting memorial once again for a brave soldier of WW1. The three photographs show, from left to right, the broken headstone in 2014, the temporary repair and the brand new headstone.